Malabo Falls in Valencia, Negros Oriental has been the go-to place for locals and tourists who want to have a cold dip and a soothing shower. Popularly known as Pulangbato Falls, Malabo Falls is actually just one of a series of falls trailing it up to the mountains. 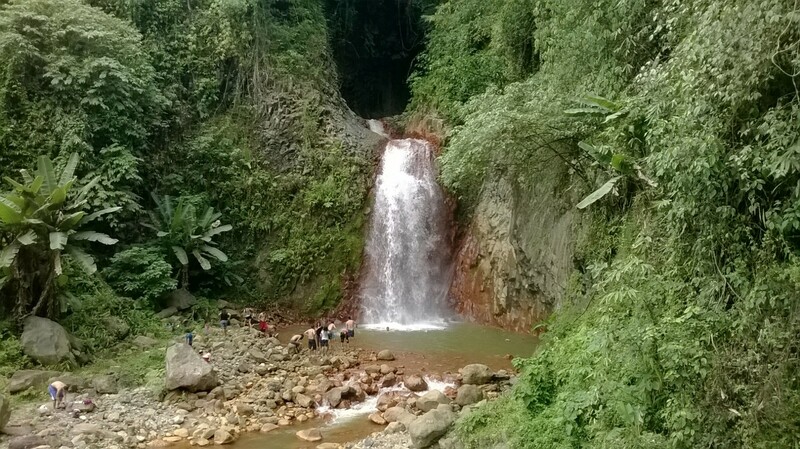 Located in the Ocoy Valley in the town of Valencia, Negros Oriental, Pulangbato falls has been dubbed pulang bato because of its seemingly red river water which is caused by the presence of natural reddish rocks found in the area. Pula is the Filipino term for red while Bato refers to a rock. Put them together and you get a really wonderful waterfalls. Note: Please avoid wearing anything light-colored or even white for the stones (not the water) will stain whatever it is you’re wearing. The trip to Pulangbato Falls is easy as getting to all other destinations in both the City of Dumaguete and Town of Valencia. If you are traveling from the city, you can ride a pedicab (local term for tricycle) and ask the driver to take you to the terminal going to Valencia. 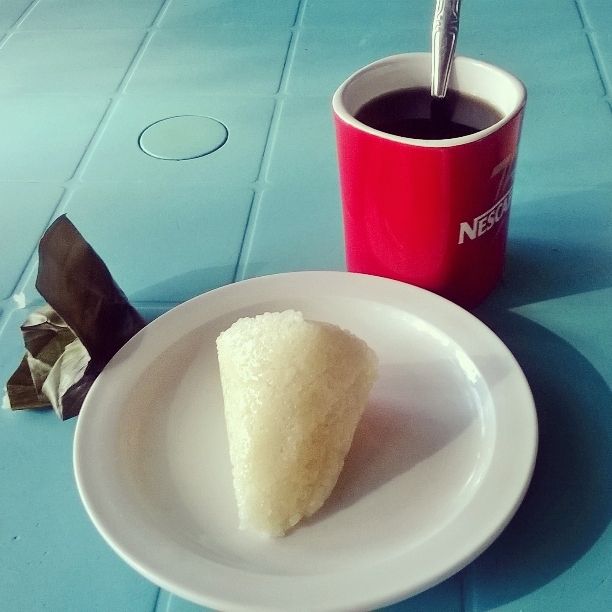 The ride from Dumaguete to Valencia town proper will take about 20 to 30 minutes and upon arrival, I suggest for you to take a moment and try their native coffee coupled with puto (more common to others as suman). In the town proper, you can ask around for habal habal drivers to take you to Pulangbato falls, which is another 20 to 30 minute ride. Note: You can ask the habal habal driver to wait for you and take you back to your hotel after your visit to Pulangbato Falls. This is more advisable as few trips are available in the afternoon. Your fare depends on how good you are with haggling. It is still highly advisable, for any destination in Negros Oriental or on most parts of the Philippines, to rent a bike for ease of transportation. Motorbike Rental: PhP 250.00 – 350.00 per 24 hours. The fee to get in is only PhP 20.00 for both foreign and local tourists. Aside from the majestic falls, they also offer a man-made pool, which can be seen as soon as you enter the premises.